SiliconDust, the company behind the incredibly popular HDHomeRun devices, has recently stepped into the live streaming game. On August 18th 2018, SiliconDust released their streaming service called HDHomeRun Premium TV for $34.99 a month. With HDHomeRun Premium TV, subscribers get 45 live cable channels for a fraction of the price of regular cable all without being locked behind a contract. Although the package doesn’t include any local over-the-air stations, HDHomeRun is well known for their integration with antennas and the Premium TV service is a perfect compliment to one. The HDHomeRun Extend sends antenna signals over your network to all connected devices. No more cords or second antennas necessary! Keep in mind you need to already own an HDHomeRun device (like the HDHomeRun Extend above) or purchase one before you can use their Premium TV service. If you’re not familiar with HDHomeRun devices, they’re essentially a TV tuner that converts signal from an over the air antenna and shares it over your home network. This allows you to have an antenna for your whole house that you can view on your phone, TV, or computer through your home’s internet rather than wires. It also gives you access to a DVR for all of your antenna channels to fast forward or rewind live TV! HDHomeRun Premium TV currently offers 45 channels in their base package including AMC, FX, HGTV, and the ESPN family of channels. They also offer Nickelodeon, one of the surprisingly difficult to get networks for cord cutters. As we mentioned above, HDHomeRun doesn’t offer local stations, but does include the three major cable networks CNBC, Fox News, and MSNBC. The table below shows the 45 channels currently included in HDHomeRun Premium TV’s channel lineup. While not a groundbreaking channel lineup for $35 a month, Premium TV’s offering is solid and includes a lot of heavily requested channels. However, their channel lineup isn’t really what sets them apart from the crowd. If you’ve been using the HDHomeRun device for your over the air channels and swap to other services like Sling TV or Philo TV for stations unavailable through your antenna, you’re familiar with how frustrating using multiple services and apps can be. This is where HDHomeRun Premium TV starts to shine. The first thing you’ll notice with the service is that the Premium TV channels are displayed with the over the air channels and share the same interface. You can easily scroll up or down through the channels and choose between Premium or over the air without even noticing the difference. No switching apps and no extra remotes. In fact, if you’re using another app like Channels or Plex, both the Premium and over the air channels will show up. Not only are the Premium TV channels and the over the air channels on the same easy interface, the DVR is exactly the same too. If you’re not familiar, HDHomeRun’s DVR doesn’t prevent you from skipping ads, block you from recording specific channels, or limit the time you can keep a recording like a lot of other streaming services. And since the DVR isn’t cloud based, it’s only limited by the size of your hard drive. You’ll be able to watch recorded programs from your over the air and Premium channels the exact same way. Similarly to how both types of channels are compatible with Plex for streaming, Plex can organize recordings from both types too. If you’ve been using your HDHomeRun device, you might have noticed the additional non-over the air channels have already popped up. 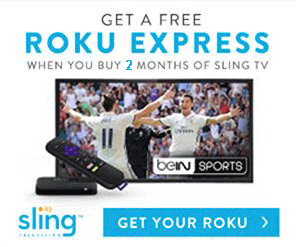 This is because SiliconDust allows you to watch a 2 minute demo of each channel before subscribing to the service. Although not quite the same as a free trial, at least you’ll be able to see that the channels are actually working so you know what to expect. You can disable these channels at my.hdhomerun.com as well as disable any other channels you might not want to see (over the air or Premium). 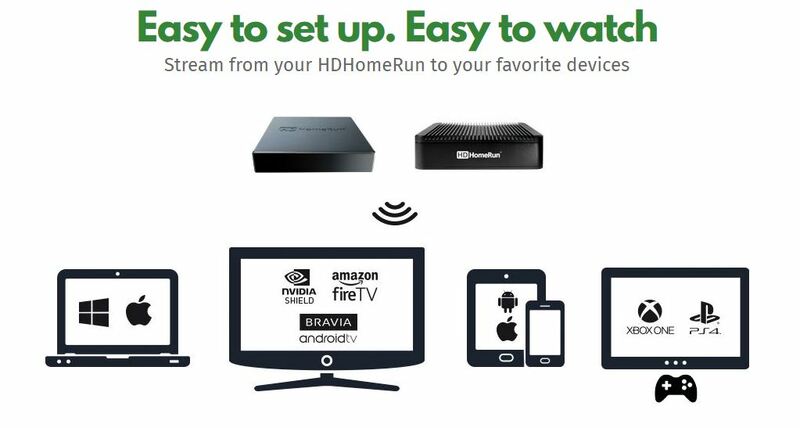 As we mentioned above, you do need an HDHomeRun device on your network in order to watch their Premium TV service. If you haven’t been using one to stream your antenna to multiple TVs or for its DVR to fast forward and rewind live TV then Premium TV is a great excuse to get one.